Desertification is land degradation. Land degradation, whether natural or anthropogenic, is a continuing process and is increasingly becoming more of a universal problem on each continent (except Antarctica) – not just some problem occurring in a remote developing country. It affects not merely agricultural productivity but has implications that reverberate through all aspects of society. It has become an important issue affecting the wealth of nations and indirectly impacting the livelihood of every person on earth. Global grasslands become the focus when thinking about desertification. Natural resource degradation, pollution and loss of biodiversity are detrimental because they reduce resilience, increase vulnerability, and undermine ecosystem health. Overgrazing of grasslands reduces their productivity and ultimately destroys them. It should be no surprise that food security is directly related to the ability of land to support any given community. When land declines in quality, there are costs to society. One such cost is urban migration. Cities offer a false hope of a better life. Those arriving in cities, without education and suitable skills to participate productively in an urban environment, become a greater social burden. With use, these migratory pathways reinforce themselves and become even more established. It becomes a continuing cycle. Global migration is increasing and continuing, unabated throughout much of the developing world. When ecosystem damage occurs, there is a disruption to the overall viability and normal functioning of natural systems. Resilience is the ability of an ecosystem to persist despite external shocks, i.e., the amount of disruption that will cause an ecosystem to switch from one system state to another – those elements which provide internal structure and set of mutually reinforcing processes. Desertification feeds desertification. 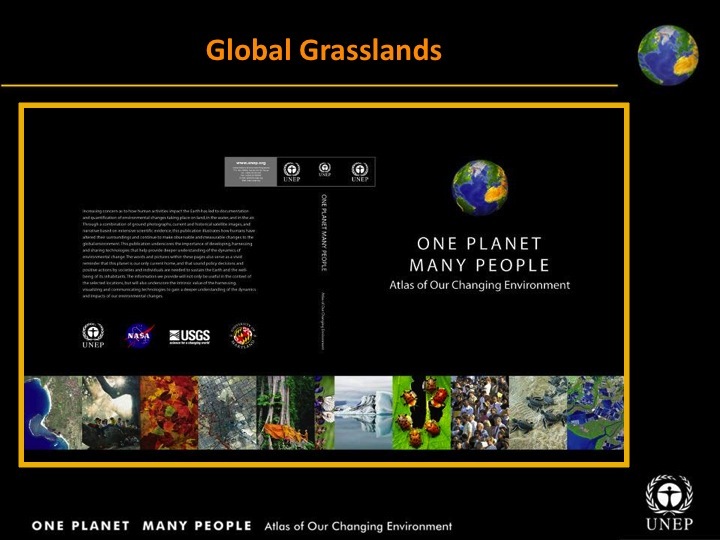 Worldwide, there are now 680 million hectares (1 680 million acres) of degraded grasslands. Desertification is estimated to involve 3 600 million hectares (8 896 million acres) of land—roughly 25% of the world’s total surface area.